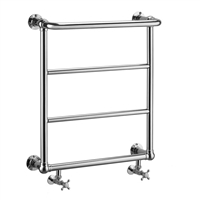 The Burlington Trafalgar Heated Towel Rail has a traditional appearance, lovingly crafted and hand finished with exceptional care using the finest materials and manufacturing processes. The Burlington Chaplin Heated Towel Rail has a traditional appearance, lovingly crafted and hand finished with exceptional care using the finest materials and manufacturing processes. The Burlington Bloomsbury Heated Towel Rail has a traditional appearance, lovingly crafted and hand finished with exceptional care using the finest materials and manufacturing processes. 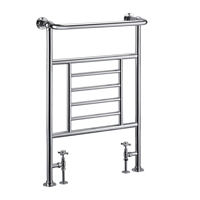 The Burlington Cleaver Heated Towel Rail has a traditional appearance, lovingly crafted and hand finished with exceptional care using the finest materials and manufacturing processes. The Burlington Berkeley Heated Towel Rail has a traditional appearance, lovingly crafted and hand finished with exceptional care using the finest materials and manufacturing processes. The Burlington Vincent Heated Towel Rail has a traditional appearance, lovingly crafted and hand finished with exceptional care using the finest materials and manufacturing processes. The Burlington Strand Heated Towel Rail has a traditional appearance, lovingly crafted and hand finished with exceptional care using the finest materials and manufacturing processes.